Midrange performance queen, but dammit, that bad screen! 15.15" x 10.82" x 1.00"
Welcome! The new Dell Inspiron 15 7567 (or “Inspiron 15 7000 gaming”) is Dell’s latest mid-range gaming laptop, priced around $800-$900 currently ($800 with discounts, as of writing these lines). It is an update to the popular Inspiron 7559 gaming laptop (Skylake I5/I7, GTX 960M 4GB) and replaces the chassis/looks and updates the basic hardware inside with a Nvidia GTX 1050 / Ti GPU (4GB), I5/I7 Kaby Lake CPU and DDR4 which is not that important for performance (but requires less power). The 7559 was popular thanks to its relatively low MSRP price of $800 (usually you could find it for less), w/ 256GB SSD or 1TB SSHD, good gaming/operation performance, cooling system and basic IPS display. 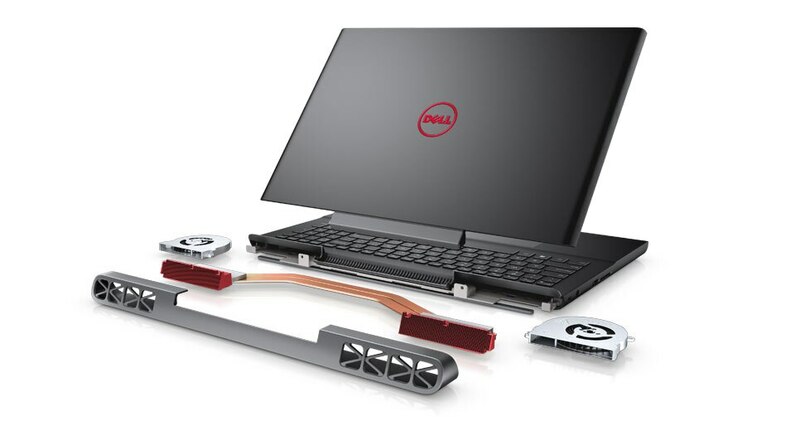 The 7567 doesn’t need to do much except update the hardware parts and add some ports, but it doesn’t look like any port were added – Dell probably want to differentiate its product line, maybe because they don’t want to hamper their Alienware 15 basic version sellings (which has a GTX 1050 Ti too). The previous generation 7559 model lacked in some areas, including the keyboard, speakers system, display and connection ports – we’ll see how much has the 7567 is improving on it. The 7567 model I got for a review is this one with the GTX 1050 Ti, I5-7300HQ CPU and 256GB M.2 SSD. I chose this model mostly for the faster GPU, as I think it will get gain more interest from people, at least for the current price difference between the two models. Also, I think that for almost all games, we won’t see any real improvement from using an I7 CPU, plus, the I5 should be considerably less hot and power hungry. For the current price, the Dell 7567 might have some fierce competition from cheap discounted GTX 1060 3GB laptops like the Asus FX502VM and MSI GP63MVR that sometimes sell for as low as $900-$950. OK, let’s see how the 7567 “gaming” laptop fairs! The Dell Inspiron 7567 has an average chassis build quality. The surface won’t yield easily under pressure, including the keyboard surface. The screen’s outer lid can stand direct pressure (for example, when it’s in your backpack and something heavy is placed on it), but the screen module will twist easily. The screen hinges feel ok, but this design allows for easy twisting of the hinges – doesn’t happen a lot though. The chassis is all plastic. The inner surfaces are very slick black material. Overall I’d say it’s the quality level we’ve become to see from many manufacturers, even for higher price. Nothing’s too special. The 7567 comes in two favors as of now – black and red “Beijing Red”. I took the red one and I like it very much (but it won’t stay mine for much). The 7567 is plasticy both on the outside and the inner keyboard and screen surfaces. The 7567 builds on lots of grills on the front and rear which is relatively nice in the space of the usual laptop design. The maintenance panel is held by one screw, which is quite comfortable. In this version, only the M.2 SATA port is occupied, but you can add a 2.5″ drive. CPU and GPU are soldered and the two of them share two heatpipes. The 7559 had three heatpipes, all shared between the CPU and GPU, but the CPU had two close fin sets (here). Not sure how it will influence the thermal performance. The keyboard. The Dell Inspiron 7559 had a relatively lousy keyboard, in my opinion (others were more comfortable with it), and I think that the 7567’s keyboard doesn’t delivers much more, if at all. Let’s start with the good things: keys are well spaced and feedback and response are relatively ok. The typing experience is relatively even across all the keys, which is good and not always the case. And, they work. However, travel depth is quite low, resistance is also very low – it’s not that bad, but for some the typing could be a little annoying, as gentler strokes are required for not resulting in a uncomfortable feeling in the fingertips, especially when they are a bit cold. For some it won’t be that important. Still, the keyboard is not bad, but it’s ok, tops, in my scale. The keys’ surface could be nicer too – too slick and flat for me, but that’s me. Touchpad. The touchpad is big enough and basic. Surface is smooth and relatively comfortable. Buttons are integrated and under good, which limits the usability a bit, but for work most will use an external mouse anyway. The 7567 has a 2.1 speakers system. The two satellites are located at the front bottom, facing your body, and the subwoofer is located to the left of the touchpad, on the other side, facing the bottom of the laptop. This a step up from the 2.0 speakers system of the 7559 which lacked in the lows and mids considerably. The 2.1 system provides acceptable lows and mids, but they need to be equalized (you can use the included sound software) and they still sound a little washed out. The speakers produce a somewhat rich and deep sound, but clarity isn’t great. It’s also partly because of the location of the speakers which makes them sound more muffled and boxy than they are. Listening to them directly results in a much better sound, but it’s not practical if you are actually working on the laptop. Overall, I’d say that the speakers have received a good upgrade over the previous generation and are enjoyable, but you could probably notice they are not calibrated with some parts considerably louder/quieter than others. You’ll also notice they lack in clarity, but that that’s not that bad. Generally ok.
With a Sandisk X400 SSD, the everyday operation experience is quite good. Under the highest load, temps can get pass 90C, but then the fans start kicking in faster and temps decrease. That’s also thanks to the I5-7300HQ in use (vs an I7). Even under Prime95 + Furmark load, the GTX 1050 Ti clocks are maximal. The CPU core clocks are jumping between base clocks (2.5GHZ) and maximal clocks for this situation (3.1-3.3GHZ) – I couldn’t fix it with ThrottleStop. The 7567 keyboard surface can get pretty warm, though I didn’t feel anything annoying, maybe because the maximal temperatures for each areas are not representative and are usually located on some specific points. The noise levels of the 7567 are very low under light/normal load and it’s barely audible with fans off most of the time. The big disappointing. The 7567 comes with an 1080p 30-pin eDP TN panel, model AUO B156HTN [DELL P/N: 28H80]. This model is a low end model and it’s quite a surprise that Dell used this panel as its pretty bad. Subjectively, the screen contrast and viewing angles are pretty bad, to a point it is hard to read/write text and colors are different on various points on the screen, even if you look at it directly at 90 degrees. The Datacolor Spyder5Elite couldn’t even detect the white levels of this screen (resulting in the value of 90) – that’s a Spyder bug with low contrast display. I’ve added reading from the i1display pro tool. All results show contrast values arounf 1:200-250, which is very low. 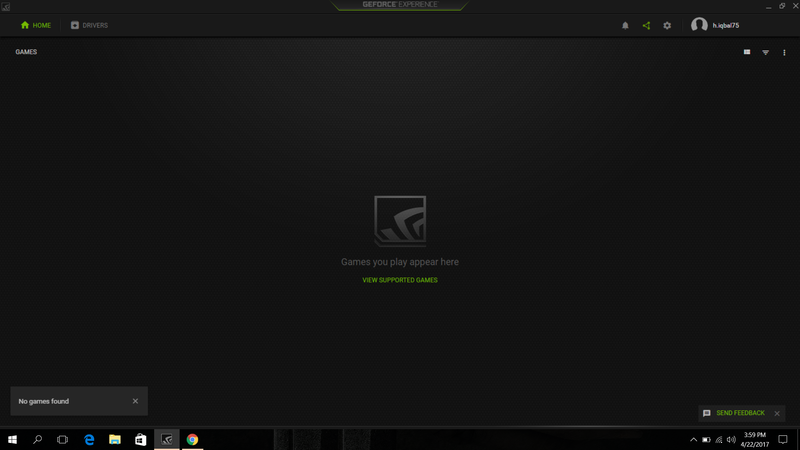 You find blacks in this screen. PWM could not be detected by me, or it has a high frequency PWM mechanism. It’s a real bummer. Personally it makes the 7567 a problematic choice. Sure, you can replace the display, but that’s more money, time, effort and you have to do it yourself. I don’t know if Dell will suggest better grade display in the future, but currently this is a pretty bad screen. So, battery running times of the Dell 7567 is pretty good. It is partly because of its bigger battery (74Wh) and I5 CPU (instead of I7) and partly because the system seems to be considerably more energy efficient than previous generations – a trend we see in other Kaby Lake laptops (and some Skylake based laptops). While idling (screen is on, the machine can get as low as 4W in total power consumption! Normarl work load (including some LibreOffuce docs, a bit youtube, Wifi, keyboard lights on resulted in not much higher power consumption – keep in mind that “normal” work load may vary from person to person and if you’re loading the CPU a lot, you might find yourself draining the battery more quickly. MSI GL62M (Newegg, Amazon, eBay) – has USB Type-C and mDP ports and NVMe M.2 port as well. Mostly the Asus FX502VM (review) that could be found for $900-$1000 (1, 2, 3) from time to time, with around the same lousy display, but much higher gaming performance. So! The 7567 brings a much needed update to the performance level of the midrange gaming laptop section. The GTX 960M performance level has been around for quite some time now (around 2.5 years, at least) and the GTX 1050 Ti slings the $800 performance level around 70-80% higher on average, depending on the game, drivers and CPU. That’s a huge jump in performance. The 7567 has some good qualities besides gaming performance. The optional red color is great, thermal are on the good side, especially with the Kaby Lake I5 CPU, noise levels are relatively low, speakers got an upgrade compared to the previous generation, battery running times are pretty good too (also thanks to the rather high capacity battery). And, it has some lesser qualities. The keyboard is still not that great, in my opinion (although not bad), the connection ports selection is quite limited (no mDP, only HDMI 2.0), no USB Type-C, M.2 port is SATA and the biggest problem of all for most people will be the screen quality, in my opinion. The Dell 7567 gone down from its predecessor (which had only a basic IPS display) with its low quality TN panel and it makes this model a very problematic proposition. The screen can be manually replaced, yes, but that’s more money and more hurdle. Update: now can be upgraded with an IPS display for $50. The MSRP price of the 7567 GTX 1050 Ti model also gone a little up compared to the Dell 7559 (GTX 960M) by around $50-$100, but you should still be able to get it for $800 from time to time with some discounts. For $800 or less, a GTX 1050 Ti 4GB is a very good deal, even with the TN panel ($50 for a good replacement IPS), but the Asus FX502VM and other laptop equipped with GTX 1060 3GB can be sometimes found for $900-$1000 and delivers around 25-35% higher performance. Bottom line, the 7567 is a pretty nice basic midrange gaming laptop, but you should consider the drawbacks and price. The Kaby Lake + GTX 1050 Ti is a powerful combination for $800, battery running times are pretty good, thermals and noise are handled well and the looks will satisfy probably many people. I’d suggest considering this laptop in case it can be bought for a price of $700-$750 (1050 Ti version), but for $850-$900 it comes pretty close to the GTX 1060 3GB laptops which might have some other advantages like better connection ports selection. With the new IPS display upgrade option, the 7567 becomes a pretty nice option, actually. Still not too much niceties, but with an IPS, that’s a more complete package. Good basic qualities for the price – gaming performance, good thermals, low noise and battery running times. Noise is relatively low. Barely noticeable under normal use and relatively low even under gaming load. Low quality TN panel for this price? Now +$50 for an IPS com’on! no extras – no mDP, NVMe, Thunderbolt 3, USB 3.1 gen 2 or USB Type-C ports. Keyboard is basic. Plus, price may be too close to GTX 1060 3GB equipped laptops. Connection ports selection is lacking - no mDP, thunderbolt 3, USB 3.1gen2, USB Type-C, and no NVMe port. Speakers are a serious step up from previous generation, but still lacking in clarity/sharpness. FYI, some models can be configured with an IPS panel. I think the upgrade is ~$50, so you can get an IPS configured one for ~$950. You have to select the model one step up above the $850 base model. For $950, you get an IPS panel, an SSD, and a GTX 1050Ti vs. a GTX 1050 in the base model. It’s a complete no-brainer upgrade. I’m definitely considering this model. 1. Thanks! it wasn’t available when I wrote the review! OK, I’ve updated the review and the listings, thanks. the laptop drivers shipped with 373.20 how you download 378.49 version from where ? Also, these are not the latest, search for the latest! nice review tell me i have latest drivers 373.20 also in DELL drivers latest update and geforce experience how u are having version 378.49 i dont get it !! !